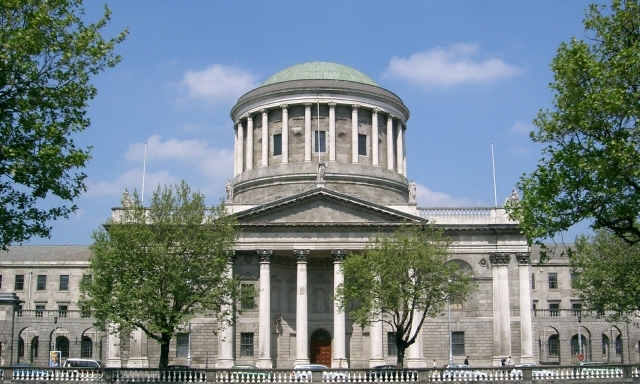 The High Court has granted leave to a Cork-based environmental group to challenge the Irish Government’s adoption of Project Ireland 2040 on grounds of climate change concerns. Friends of the Irish Environment (FIE) argue that the environmental assessment in the plan is “inadequate” and might threaten “the future prosperity of [the] next generation”. Mr Justice Seamus Noonan has given the Irish Government until 17 July to respond to FIE’s claims. Project Ireland 2040 is a €116 billion plan designed to guide the country’s development plan over the next 22 years. The plan, unveiled earlier this year, outlines Ireland’s priorities, values and population growth policy. FiE believe that the costly plan has failed to take into account the “obligations for assessment of the impacts under the Strategic Environmental Assessment and the Habitat Directive”. The EU Commission’s protocol on Strategic Environmental Assessment obliges EU states to integrate environmental assessments into their developmental plans and programmes at its earliest stage to promote “sustainable development”. “The plan provides for carbon emission from energy generations and transport over the next twenty years,” according to Fred Logue of FP Logue Solicitors. Mr Logue, whose law firm represented FIE before the High Court, said that environmental bodies including his client had warned the Government to draw a sustainable plan but they “chose not to”. “That is unfortunate that they did not do that because the purpose of the project is that all of these [environmental] issues can be installed into the plan,” Mr Logue said. The Ireland 2040 plan allocates a €500 million fund for environmental action and the ecological roadmap includes banning petrol and diesel cars from entering the market after 2030. The roadmap also calls for reducing carbon emissions from electricity generations and increasing the extraction of electricity from eco-friendly sources by 4,500 megawatts. The plan, however, clarifies that carbon emission continues to increase “over the lifetime of the Framework”. “The objective of the Plan is given as to minimise emissions which is contrary to the National Transition Objective which requires that emissions be reduced,” FIE said in a statement. Green Party leader Eamon Ryan, TD commended FIE’s legal endeavours and said that his party was “deeply disappointed” with the country’s new developmental roadmap. “Unfortunately the Framework and the National Development Plan when they were published jointly as Project 2040 remain business as usual plans, incredible plans to increase emissions overall when we know radical reductions are what is required,” Mr Ryan said. Ireland also has the third-highest level of greenhouse gas emissions per capita in the EU, and the country’s greenhouse emissions per person are among the highest in the world, according to the Environmental Protection Agency (EPA). FIE had previously challenged Government plans for building a second runway for Dublin Airport. The group’s previous legal initiative led to the constitutional recognition of a healthy environment for all Irish citizens.